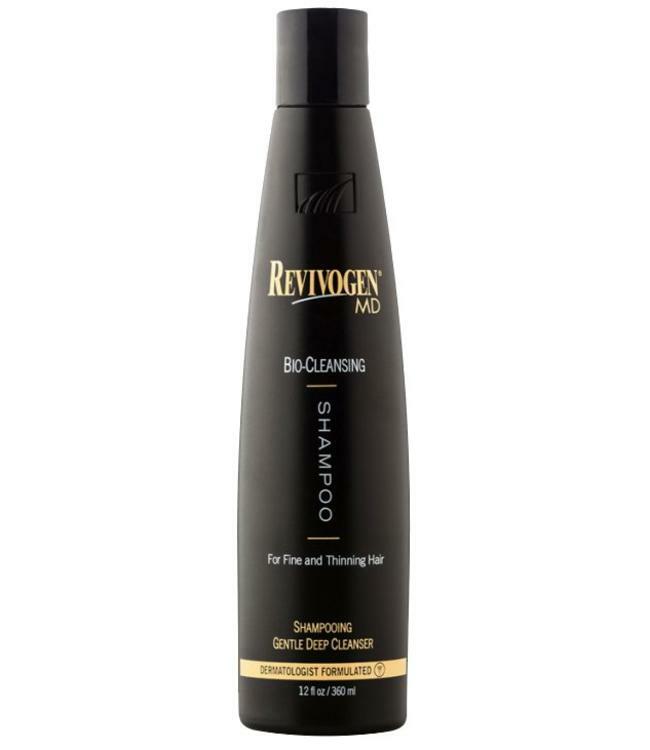 Revivogen Bio-Cleansing Shampoo is the best shampoo for thinning hair and a perfect complement to the topical scalp therapy solution because it prepares the area to fully absorb the solution for better results. 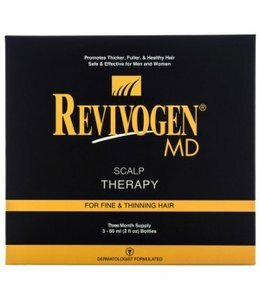 This gentle, sulfate-free hair thinning shampoo is specially formulated with the same active ingredients found in the topical Revivogen scalp therapy formula to complement it’s activity. While generally cleansing the hair and scalp, it removes Sebum (which blocks DHT near the hair follicle) and DHT (powerful androgen linked to hair loss) from the scalp. This Hair Thickening Shampoo formula helps to relieve irritation and delivers important bioactive nutrients to create a healthy scalp environment for hair rejuvenation. It also will add extra volume to limp hair, extra shine to dull hair. 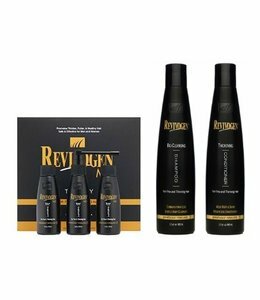 Revivogen hair thickening shampoo is formulated for all hair types so you don’t have to worry if you have overly dry or oily hair and you do not have to worry if you have straight, curly or coarse hair types. Revivogen hair thickening shampoo is equality effective on all skin and hair types which is one of many reasons it’s the best hair growth shampoo on the market. Whenever you are applying hair growth shampoo it is best to have someone assist you to make sure all treatment areas are fully covered. If you’re in the shower wet your hair then turn off the water. Pour a small amount of Revivogen Bio-Cleansing Shampoo into the palm of your hand. Rub the growth shampoo into the scalp. If you want to treat areas that has coarse hair make sure you are vigorously rubbing into the scalp. Pour more shampoo into your palm as needed and massage into the scalp and hair to create a luxurious lather. This gentle hair cleanser helps to reduce scalp irritation. After at least one minute you can rinse the shampoo from your hair & scalp with warm water. You may repeat the process if necessary. 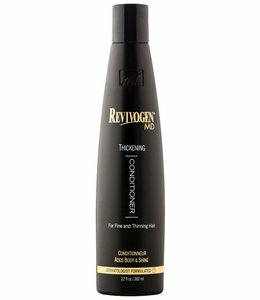 After you’ve completed shampooing your hair, dab with a dry towel and apply Revivogen Hair Thickening Conditioner for the best results. The shampoo and conditioner are formulated for daily use. Good shampoo. Been using this now for a while. My hair feels thicker. Don't need somoen in the shower like the directions say to use it but I like the idea :-) Wish it came in travel size too.